Want to make your paper airplanes going farther without studying to be an aerodynamicists? 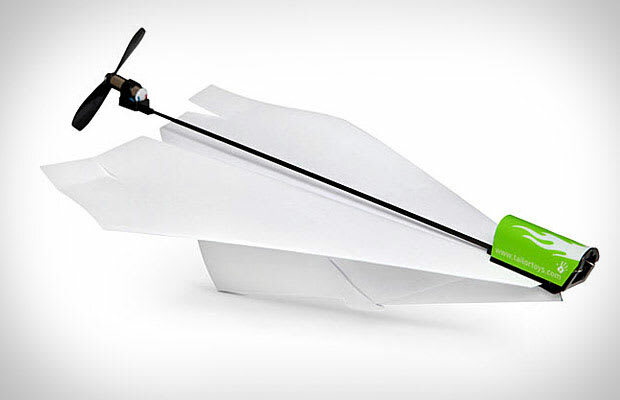 Buy the Electric Paper Airplane Conversion Kit. For $20, you can buy this simple add-on that clips onto the nose of your plan puts and electric propeller on the end to extend the flight time by 90 seconds. It&apos;s made of carbon-fiber so the weight-add is negligible, and it charges in 20 seconds with the included charger. Buy one now from Think Geek for $20.